Happy Wednesday, folks! It's nice how Wednesday ended up being one of my days where I have no classes. That gives me time to surf the web and take a look at all of the cool things floating around out there that I could potentially own. ALL OF THE THINGS!!! XD Anywho, enjoy this week's list! 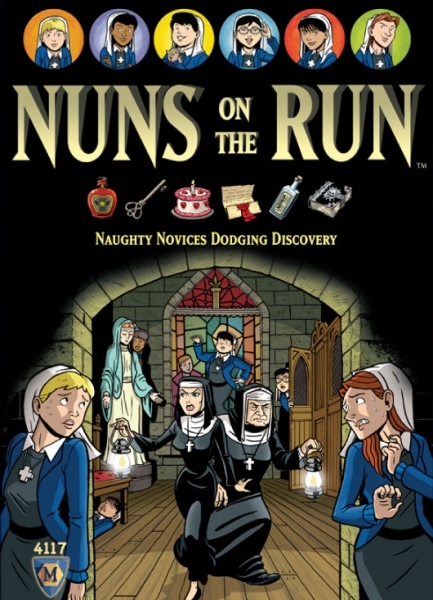 #1: Nuns on the Run Board Game! I happened across a copy of Nuns on the Run when I was visiting one of my local board game stores with a friend of mine. I thought this game looked hilarious, plus it wasn't too silly. It has a full blown board and everything and the whole point is to sneak around at night to give into temptation any way you see fit - including indulging in chocolate cake! - and sneaking back to your bedroom without getting caught. I happened to be at the same board game shop yesterday, and the game was already gone XP Shouldn't have hesitated to buy it over the weekend. Lesson learned! #2: Another square frying pan for when I move into my dorm! This baby here is what I use to create the food that is basically my life source for when I'm at home; Grilled cheese. That's basically all I eat half the time XP And I've become an expert at cooking them too, plus I specialize in a bunch of different variations of the grilled cheese sandwich. Anyway, a regular circular pan will not do for my level of "culinary prowess" so I'll be looking to get another frying pan soon. Thing is, there a bit difficult to find randomly in any store around here, so starting now until April I am on a mission! 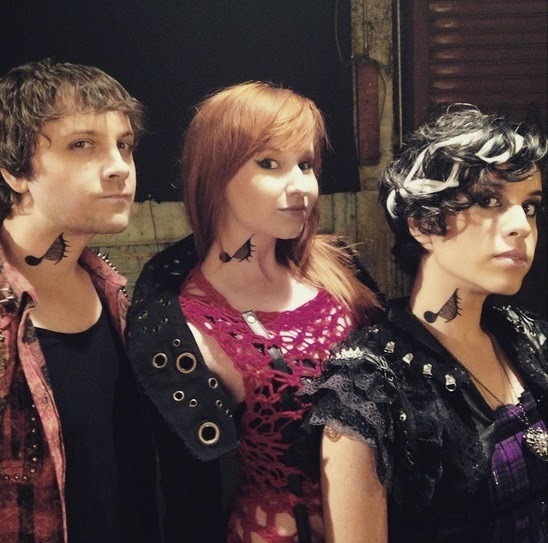 #3: Hot Topic has a Steampunk line?! What the what?! When I got the email about Hot Topic having a Steampunk line, I was so freaking excited, you have no idea! A lot of these pieces are modern with a Steampunk twist (a few of them are even Nightmare Before Christmas-themed) but there are a few select pieces that could potentially be added to a real Steampunk costume! There's even a few pieces for men! I'm thinking that I need to nab at least one of these pieces to help complete my Steampunk costume - perhaps one of the corset-mimicking pieces, so that I don't have to blow a crap ton of money on a corset until further down the line. #4: A book-themed Throw Pillow for my Dorm Room from RedBubble! One nice thing about the dorm that I will eventually be moving into is that the beds are the exact size of the bed I sleep in now, which means I won't have to go out and buy myself new sheets. 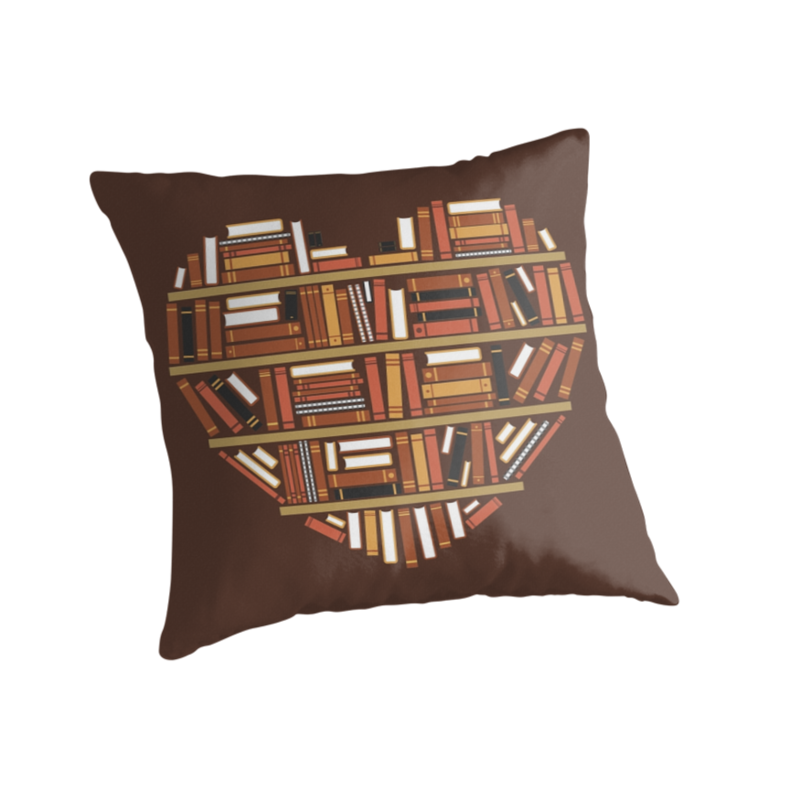 That also means I have a tiny bit of wiggle room in my budget, and I'd like to pick up one or two decorative pillows for my dorm room, especially if they're book-themed. If there's one thing I'm looking forward to with regards to my dorm, it's getting able to decorate it and to really make it mine for the short time I'm going to be living there. That board game looks hilarious and hysterically blasphemous! Next time you see it, please don't wait! Hahahaha!